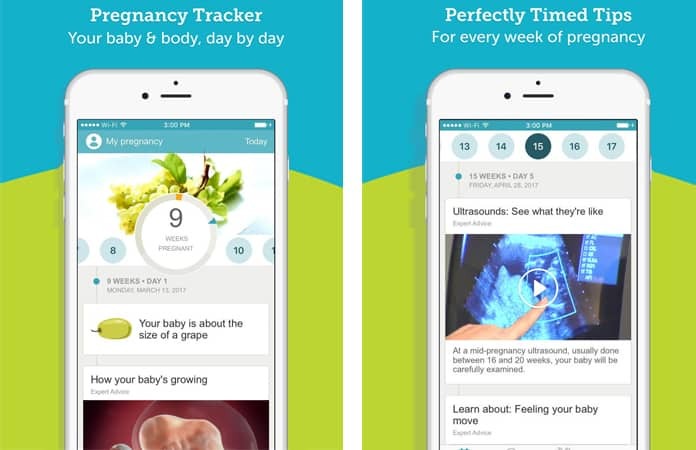 There are different pregnancy tracker apps which are helpful to track the growth of your baby. 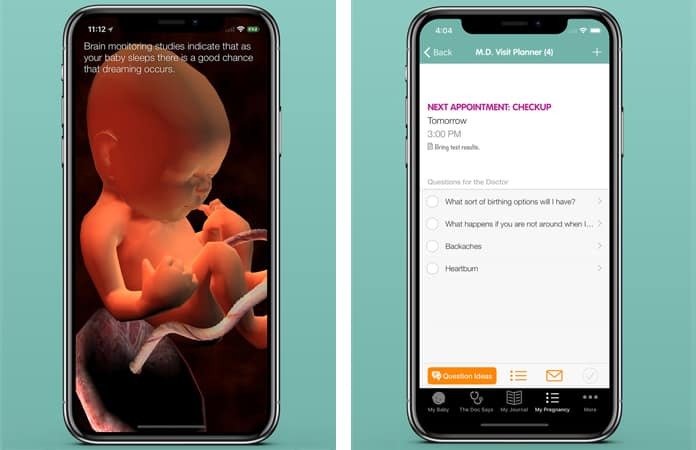 These apps are not an alternative to scientific tests but can help you to spend a good time during pregnancy. 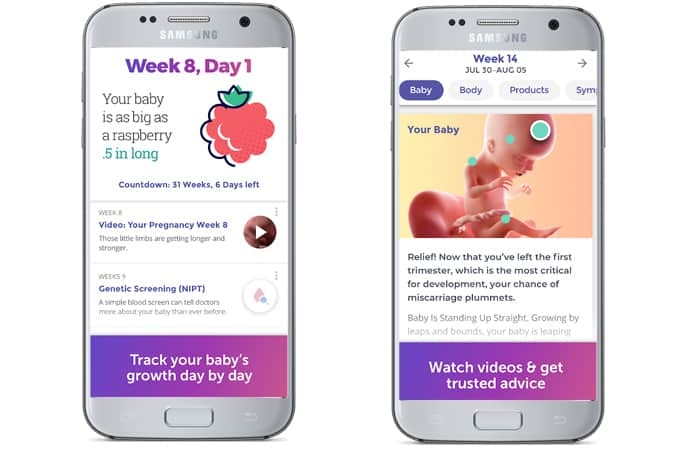 Different pregnancy apps allow you to use various features and you would track the baby growth and necessary information. These apps help you to understand your diet needs and also allow you to connect with others. So, you can take different benefits from such apps. Have a look at the following best pregnancy tracker apps for iPhone and Android to track your pregnancy. It is another excellent app which is on the list of best pregnancy tracker apps. You can effortlessly download and install this app too for your Android and iPhone. You can take help from the excellent and amazing visuals of babies and can understand the situation. Using this app, you are going to track everything. You can see the different useful images and messages after each week and help you to spend considerable time to help your baby. Additionally, there are various tools which are helpful to understand your baby moments in your body. It is a great pregnancy checker app which is well known all across the world. It can quickly and truly access the growth of your baby on a weekly basis. You can check the condition and can learn different values about your baby moments. Also, you are free to see different pregnancy photos to spend happy and relax images. You can also allow viewing the different sections of different pieces of advice about pregnancy. These sections are helpful and try to provide you with a lot of success. You can easily get this app for iOS and start right now. It is a fabulous app which can be installed on your phone. You can get different valuable tips and can spend your pregnancy period in a better way. Additionally, you can see different visuals and enjoy the suggestions of experts. You are also allowed to see the body of the baby at different stages of the pregnancy period. Just install this app and plan your habits according to the suggestions of this app. 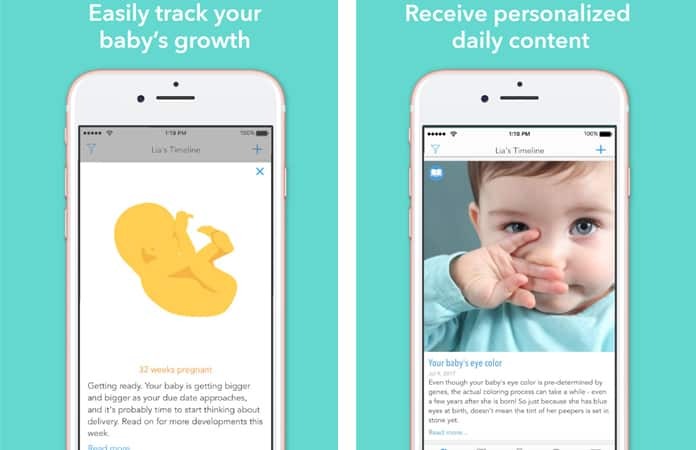 This is a great and popular app which is different from others and help you to track your baby growth. You can understand that how your baby looks at the specific time of pregnancy. There are unique visuals and helping content which is easy to understand and fun. You can watch different related useful videos to get bits of advice. Additionally, you can read a lot of articles written by experts. In short, this is a great app which helps you to spend a comfortable and pleasant pregnancy duration. It is a great pregnancy tracker app which is useful and updated on a regular basis. You will get different researches and articles which can help you to know everything about your different pregnancy stages and time duration. 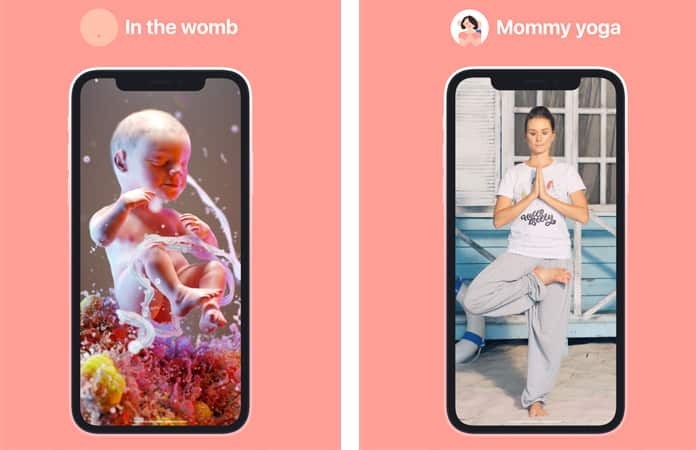 This app is lovely and provides you 3-D visuals of developing a baby. You will get new things and sources every day to track the development of your baby and the changes in your own body. It is another app which is used for tracking the pregnancy and spend good pregnancy time. This app allows you to keep in touch with other moms and also can ask different useful questions to other expected moms and experts. You would see different visuals representing the growth stages of the baby. In short, this is the best community app allowing you to know everything about the development process of your baby. 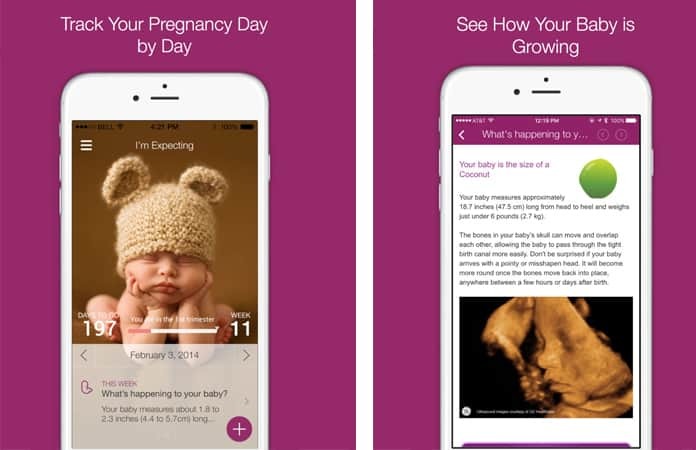 It is a pregnancy tracker app which is famous to provide useful articles to moms. These articles are written by doctors to help you with understanding the changes during pregnancy. This app shows you 3D visuals of the baby positions with information and also help you to understand the development process of the baby. 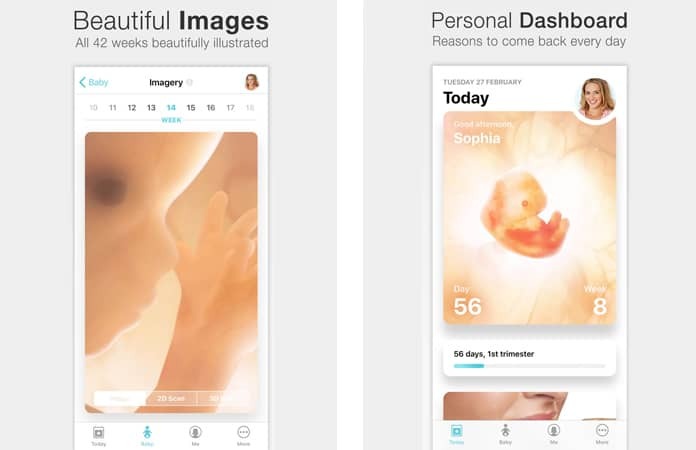 This app is another pregnancy tracking app to help you and provide you with every information of your interest. You can get a lot of useful and helpful tips to spend a happy and healthy pregnancy period. You would see different visuals representing the growth process of your baby. You can download and install on your iPhone and Android. This is a great app which provides you with everything of your interest related to your baby. 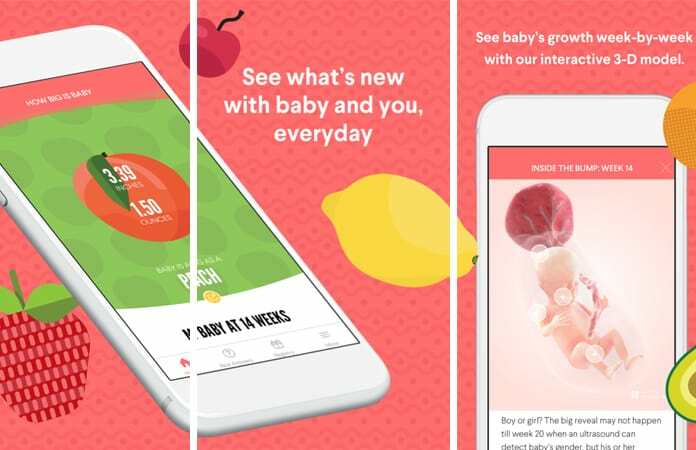 Your baby is your love, and this app offers you every kind of information about your baby. You can also search and find different names from the database of this app. It will help you to find the best name for your baby. You can also see different visuals and baby growth positions. 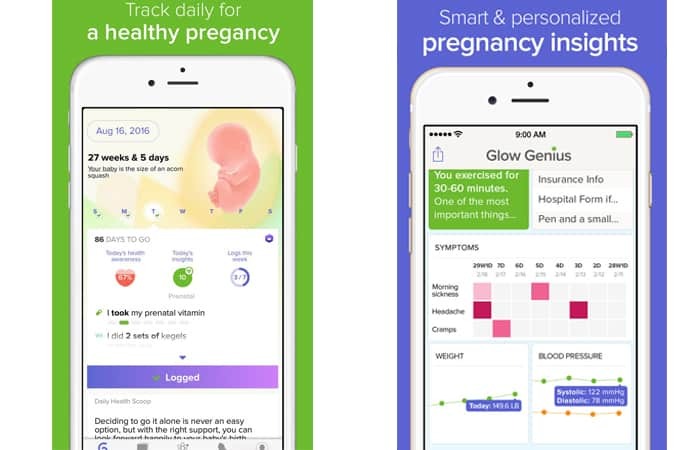 One of the most advanced and comprehensive pregnancy trackers is Glow Nurture. This app has a simple design and it is customizable so you can nature your pregnancy and baby. This app has a beautiful chat, and you can share your experience with others. 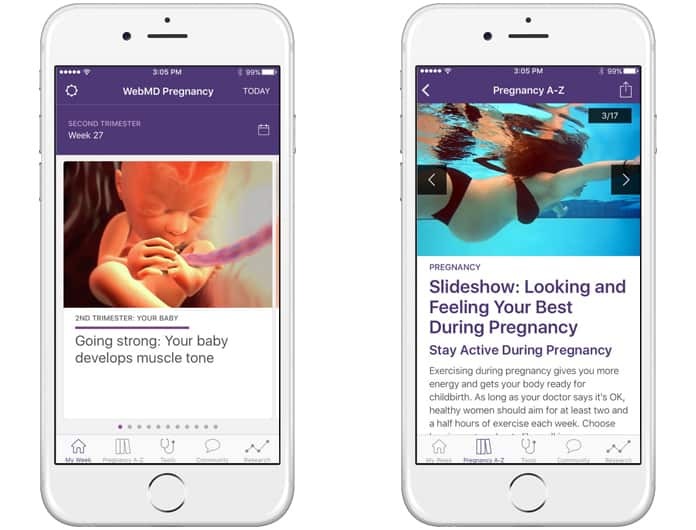 Using this app you will have access to a lot of daily pregnancy articles about what to expect of motherhood and your baby. Pregnancy tracker apps can be really fun and effective when it comes to tracking you and your baby’s growth. So which one of these did you liked the most? Share your thoughts in the section below.